As the growth of cloud shows no sign of slowing any time soon, it is increasingly becoming evident that we are sitting on the precipice of an IT revolution. As we are now into 2015, I thought it prudent to take a look at some of the specific trends revealing themselves this year. Move businesses to cloud or cloud migration will be one of the emerging trend through 2015. Startups or small sized businesses don’t need to invest in servers. So, cloud will save your money. There are many benefits of cloud computing- better use of resources, quick deployment, on-demand platform, shorter paths to market etc. The cloud infrastructure is diversified and more applications are perfected, an increasing number of enterprises started shedding their inhibitions of operating on platforms not wholly owned by them. As complex web and mobile apps software companies opting for custom PaaS solutions built for their specific industry. In 2015 Low-price, minimalist infrastructure tiers are quite popular among independent developers, startups and small businesses, like Netcraft and DigitalOcean. Lightweight, fast cloud services will be the biggest trend in 2015. Cloud allows IT companies to innovate & experiment freely because cost is much lower on cloud. If you adopt cloud in 2015, your time & money will invest more in innovation and less to maintenance. Organizations usually transfer their enterprise workloads to the cloud or an application infrastructure. But to explore the full potential of the cloud model, applications should be designed which are cloud optimized. A combination of public or private cloud services and physical application infrastructure and services is called hybrid cloud computing. From some recent developments, hybrid cloud computing looks quite promising as an unified integrated cloud model across internal and external cloud platforms. Cloud migration has been in talks since quite sometime now but it’s gaining reality in 2015. The cloud holds the keys to unlocking the next phase of big data, where analysis is completed on demand and immediately accessible to the primary users of this information. More than 80 percent of 4,000 business and IT managers worldwide surveyed are transferring, or plan to transfer, sensitive or confidential data into the cloud. 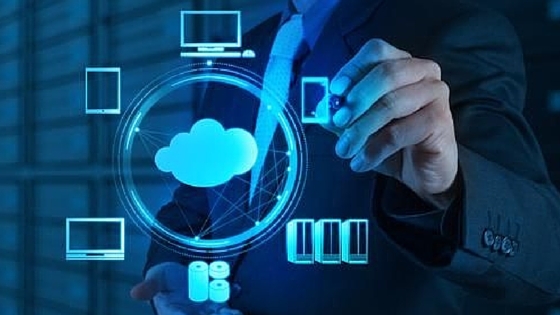 Researchers show that approx 72 percent of IT professionals consider better security as top benefit for direct connection to cloud providers. Nearly half of the respondents’ organizations already do so, and another one-third of respondents’ organizations are very likely to transfer sensitive or confidential data to the cloud within the next two years. Very informative blog. It fully changes my perception towards cloud infrastructure positively. Please keep posting gems like that. Thanks for sharing.